Geneva, March 2013. As of 2014, this battery-powered car, which was first unveiled in Los Angeles last year, will be offered not only in the USA but also by select dealerships in a number of European countries. Spark EV is expected to deliver a highly competitive range and enables multiple fast charges daily. 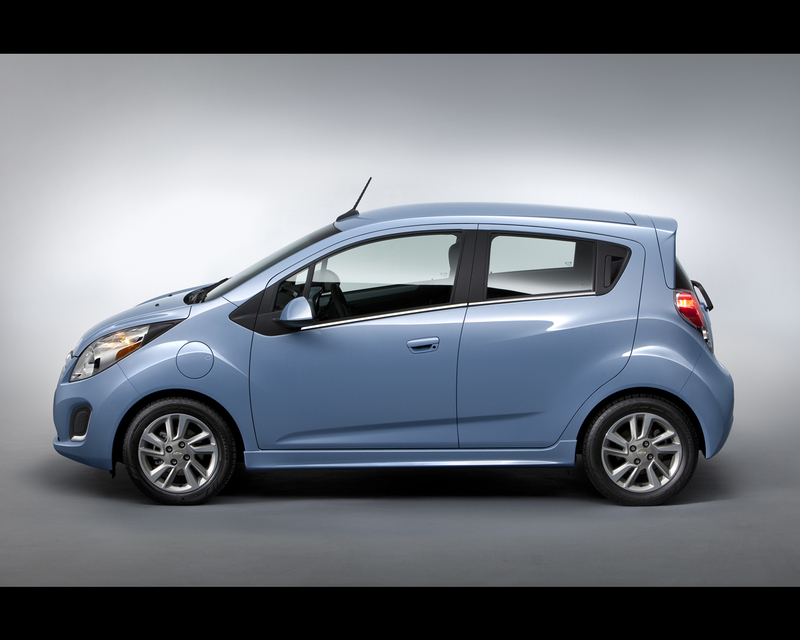 "The Spark EV is a fun-to-drive zero-emission city car with intelligent connectivity. We believe it will resonate particularly well in some of Europe's most technologically advanced markets," says Susan Docherty, President and Managing Director of Chevrolet and Cadillac Europe. 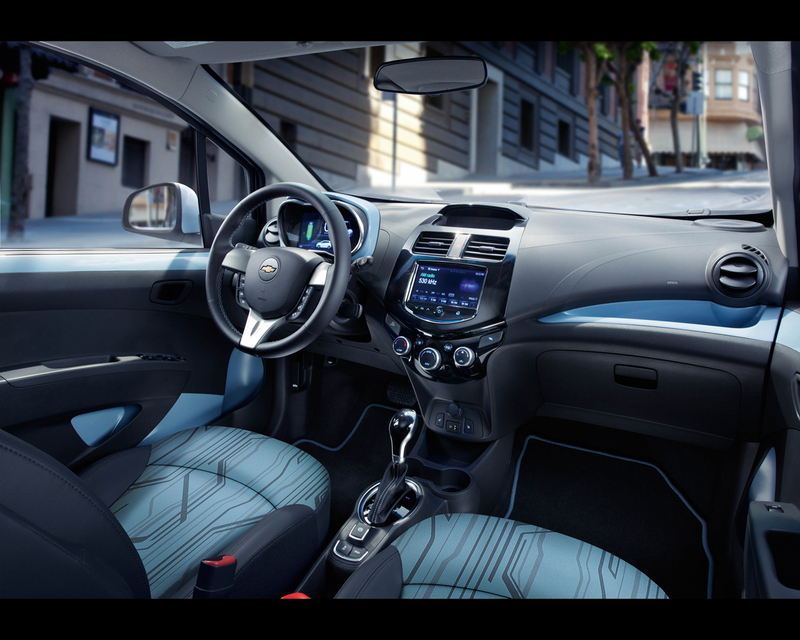 "Just like Volt, this nimble battery-powered vehicle is a proof point for Chevrolet’s ingenuity in delivering smart mobility solutions." 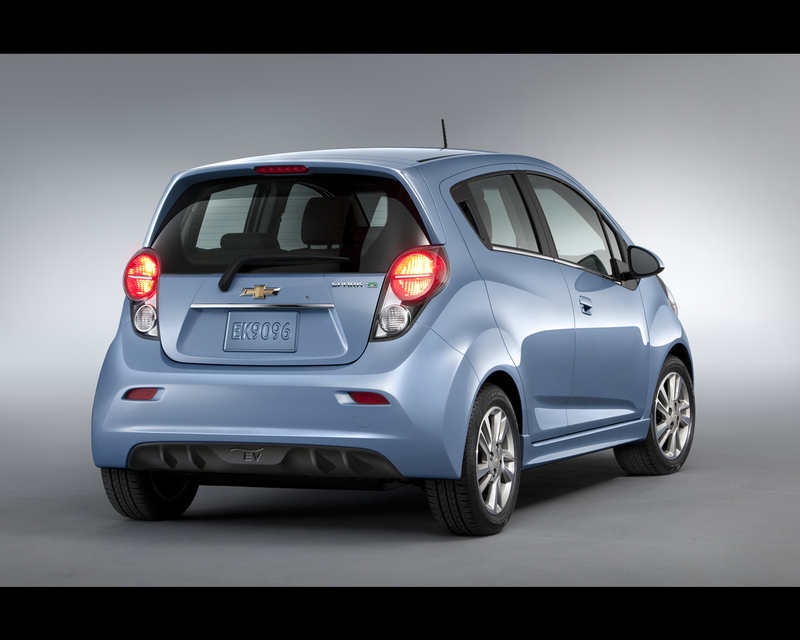 The Chevrolet Spark EV is anticipated to set a benchmark in performance for an urban city electric car. 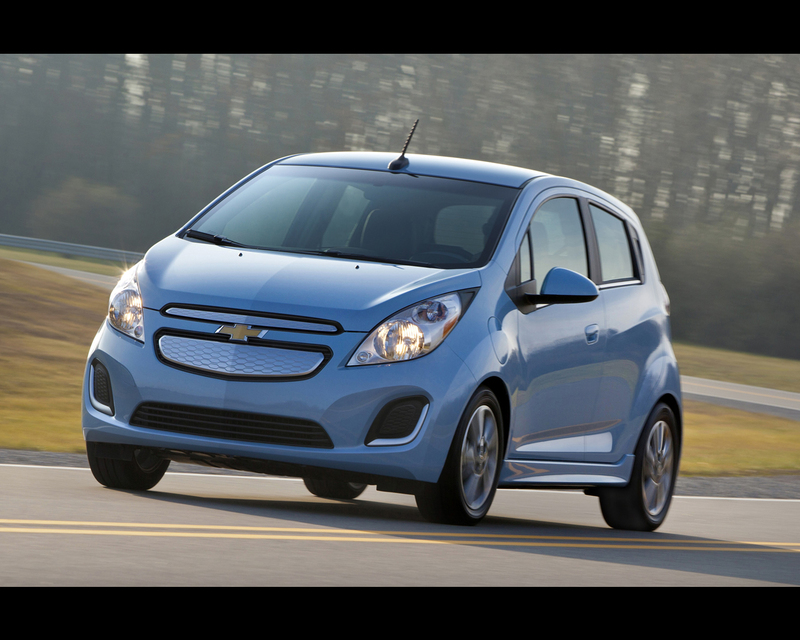 It is powered by the most advanced electric motor and battery system General Motors has ever built. 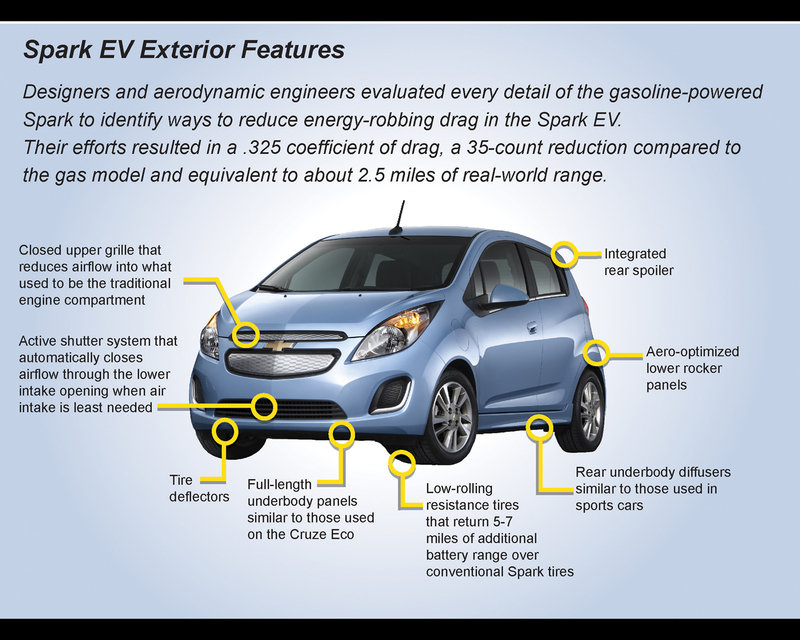 The heart of the Spark EV's propulsion system is the GM-designed permanent magnet electric motor. Mated with a coaxial drive unit, the electric motor churns out more than 130 hp (100 kW) and will propel the Spark EV to 100 km/h in under 8.5 seconds. Its smooth, yet instantaneous torque of 542 Nm make the Spark EV a small car with enjoyable driving dynamics and seamless power that is available at every stage of the drive. The motor and drive unit are manufactured at GM's White Marsh transmission plant, near Baltimore. 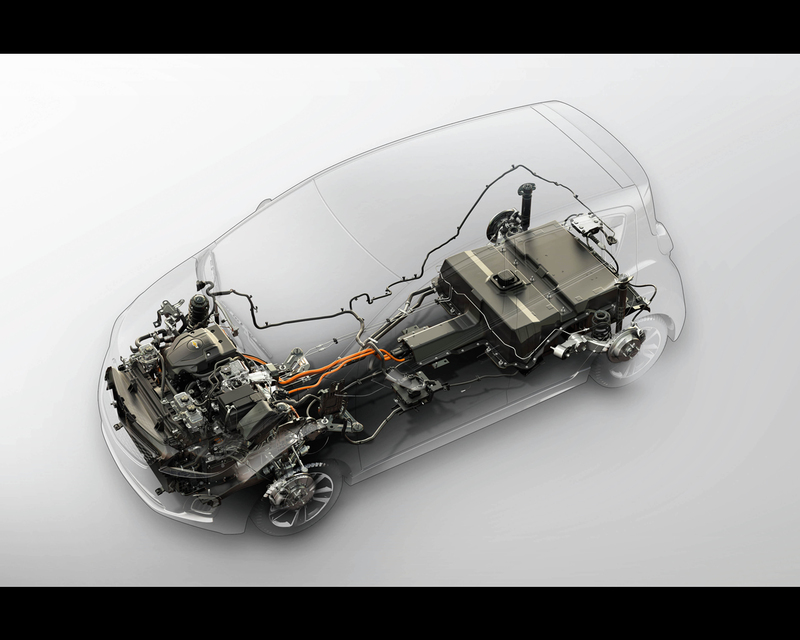 More than 75 percent of the propulsion system components are derived from other GM vehicle programs; the motor control and cooling system are largely shared with the Volt. The Spark EV is built around a tight chassis and will feature electric power steering. Compared to its gasoline counterpart, it will boast larger front and rear springs, stiffer front ride bushings, and specifically tuned front strut and rear shocks. The Spark EV will be equipped with a lithium-ion battery system of more than 20 kWh that is comprised of 336 prismatic cells and weighs 254 kg. The battery operates with the help of an active liquid cooling and heating system, which ensures improved reliability over the life of the vehicle. The battery pack has been engineered to enable both regular alternate current (AC) and direct current (DC) fast charging. The latter will allow the car to recharge up to 80 percent of its capacity in approximately 20 minutes. Moreover, the battery system is capable of handling multiple DC fast charges daily. AC recharging requires between 6 and 8 hours, using a 230V outlet. A charge cord set is standard. Thanks to the sophisticated technology of its battery pack, the Spark EV is expected to achieve an electric range that is among the best in its class. Located below the rear seats and directly over the rear axle, the squared-shaped battery pack is incorporated in a single, sealed enclosure made of an advanced weight-saving composite material. The Spark EV was designed to look edgy and expressive. 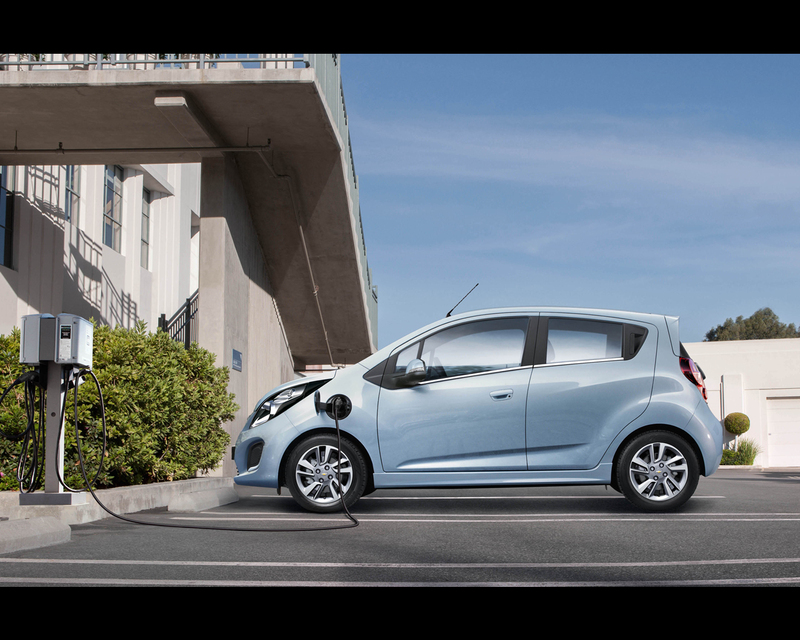 A number of aerodynamic refinements, including a closed upper grill, an active shutter system which blocks air from flowing through the lower intake opening when this is not needed, and a redesigned rocker system, distinguish the Spark EV from the gasoline-powered Spark. Among the most prominent elements of its stylish interior is a column-mounted instrument cluster that features one of two large, seven-inch full-color LCD screens and provides digital feedback to the driver. The touch-screen display in the center stack serves as the interface for connectivity, cabin climate controls and energy-efficiency data. A confidence gauge shows the expected range based on driving habits and other conditions. 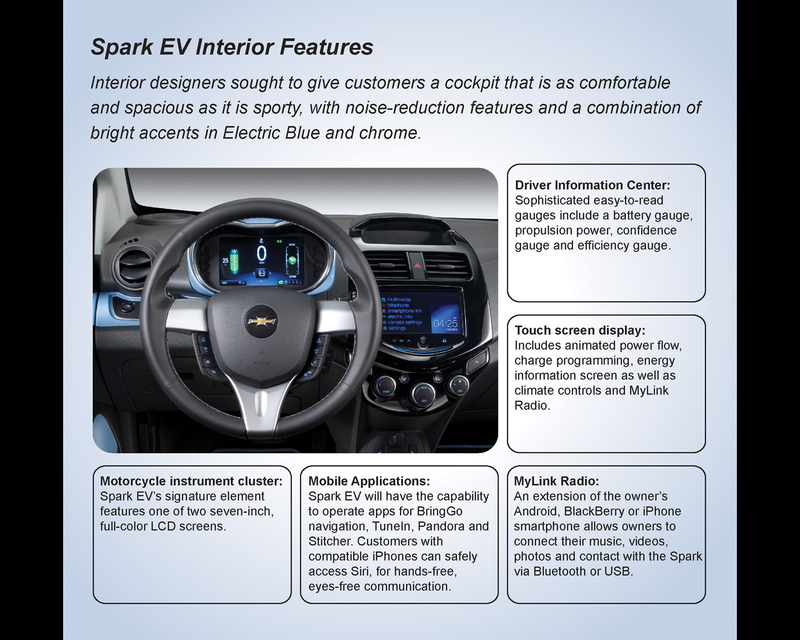 Just as the upper specifications of the Chevrolet Aveo, Cruze and the all-new Trax, Spark EV will come with Chevrolet MyLink technology as standard. MyLink enables users to connect compatible devices to the radio with its high resolution touchscreen, transforming into an extension of the smartphone. Chevrolet MyLink will support select of apps which will allow customers to navigate using their smartphone and listen to radio stations around the world through the internet. When the vehicle is parked, customers can view pictures or movies saved on the smartphone. A standard rear-view camera will provide assistance when the car is reversed. In addition, MyLink users who own a compatible iPhone** (as of 4S) running iOS6 will be able to utilize Siri, an advanced assist system, to perform a number of tasks while they safely keep their eyes on the road and hands on the wheel. This will include making voice-activated, hands-free calls to Contacts on their iPhone, and playing songs in the library. ** Siri is available in Beta only on iPhone 4S, iPhone 5, iPad (3rd and 4th generations), iPad mini and iPod touch (5th generation), and requires internet access. Siri may not be available in all languages or in all areas, and features may vary by area. Cellular data charges may apply.